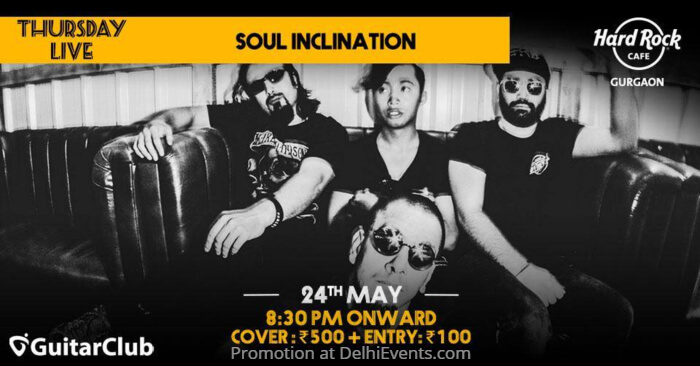 Determined to bring back the long-lost era of the late 80's/early 90's Grunge/Alt Rock, the band was initially founded by Puneet Vohra (ex-Hundred Octane) who after moving on from his last band, sought out music that he has always been true to. A sound which was an intense, heavy & melodic amalgamation of all that are intended to move people beyond physical dancing. A supergroup of sorts, with members honed with a little over a decade of experience in the independent music industry, presently comprises of Shashank Bhatnagar on Vocals/Rhythm guitars (Undying Inc/Hyperion/Broadway Brawler), Nishant Hagjer on Drums/Vocals (Undying Inc/Rectified Spirit/Underside/Nishant Hagjer), Ashish Sharma on Bass (Frequency/Tin Bizkit).